Want to attend a journalism conference? Students and area journalists picked up some new social media tools from Facebook trainer Kerwin Speight. The training was supported by the Society of Professional Journalists. Dr. McKay Jenkins leads a Front Page Cafe on how we can tackle Delaware's environmental challenges. The evening brought a full house to Dogfish Head Craft Brewery in Milton. Student-run WVUD heads into its next 50 years sharing the "voices of the University of Delaware." The station began with "Revolution" and took off running. Every day, a Delaware resident dies from an opioid overdose. The epidemic's toll, however, is much higher. Local experts offer answers at joint Front Page Cafe and Science Cafe. Nora Kelly graduated from the University of Delaware with a B.A. in Spanish Language and Literature and minors in Journalism and Political Science. Working at The Review, UD's independent student newspaper, as a copy editor, copy chief, managing news editor and executive editor helped secure internships with The News Journal and Philadelphia Magazine. After graduation, she worked as an assistant managing editor for Philadelphia Magazine, a copy editor for Science magazine and a staff correspondent for National Journal before moving to TheAtlantic, where she writes and edits on the politics team. Advice for students: "I wouldn't have my job if I hadn't worked at The Review. UD's journalism professors are fantastic, but students who want to work in the field need to learn outside the classroom, too. And they should start with The Review." Ellen Cannon graduated from the University of Delaware in 1976 with a degree in English and concentrations in Journalism and Folklore. During her four years at UD, Cannon was involved with the Student Center Activity Committee and the independent student newspaper, The Review. In her senior year, she was elected to Omicron Delta Kappa, an honor society. A career journalist, Cannon started at TV Guide. She went on to join the start-up editorial teams at Entertainment Weekly and the Australian edition of People magazine. She lived in Sydney, Australia, for 16 months and was fascinated with how media and libel law works in a different country. As managing editor of Bloomberg L.P.'s magazines, she helped create and launch several magazines and its line of consumer and professional finance books. Cannon moved to the online world as managing editor of Bankrate.com, then editorial director of the personal finance websites of QuinStreet. In 2007, the Society of Professional Journalists awarded her a Sigma Delta Chi award for her coverage of the Federal Reserve Open Market Committee meetings. Cannon is now a personal finance writer for NerdWallet. Cannon serves on the board of directors of the UD Alumni Association and is an emeritus member of the College of Arts and Sciences' advisory council. She is a mentor at the UD Career Advisory Network (UD CAN), and she's also been a volunteer with the Volunteer Admissions Support Team (VAST) for many years, interviewing potential UD students in Florida. Advice for students: "Take whatever job you can in journalism, as an intern or when you graduate. Any job, no matter what the beat, will teach you a lot and help you build clips. My first job was writing for a free weekly newspaper that was in grocery stores, banks and so on. I wrote the police blotter, covered town council meetings and wrote profiles of local people. It wasn't The New York Times, but I got to write bylined articles and built clips for my next job." Charles "Chuck" Lewis, an investigative journalist, best-selling author and McArthur Fellow, graduated from the University of Delaware with honors and distinctions in 1975. As a political science student, Lewis found himself minimally involved with journalism on campus, writing only a few articles for The Review, but he worked long hours at The News Journal. Lewis earned a master's in international studies at Johns Hopkins University before working as a reportorial producer at ABC News for more than six years. Since then, he has worked for CBS News' "60 Minutes" and founded two Pulitzer Prize-winning nonprofit news organizations: the Center for Public Integrity and the International Consortium of Investigative Journalists. He also has served as the founding president of The Fund for Independence in Journalism. Lewis admits he has made some unconventional career choices, such as breaking a four-year contract with "60 Minutes" to start the Center for Public Integrity out of his home, but he has always followed his instincts and has found great success through it. Today, Lewis is a professor at the American University School of Communication and the founding executive editor of AU's Investigative Reporting Workshop. Advice to students: "Follow your passion and follow your heart. Your instinct matters." Richard Jones is the Annenberg Director of the Gallivan Program of Journalism, Ethics, and Democracy at the University of Notre Dame. An experienced lecturer and professor, Jones has taught at five universities, including his alma mater. As an undergraduate, Jones wrote for The Review, serving as assistant entertainment editor, administrative news editor and editor in chief over the course of five semesters. He was also the business manager of WXDR, which today is known as WVUD. During the summers, he interned at the Boston Globe, the Philadelphia Inquirer and the Chicago Tribune. Before earning his master's in journalism from Columbia University, Jones worked for the Philadelphia Inquirer as a national correspondent based out of Atlanta. He also served as an editor for The New York Times and directed the New York Times Student Journalism Institute. Jones is working toward a Ph.D. in journalism from the University of Maryland. Why journalism: "No matter how you feel about what's happened in the country in the past six, seven, eight or nine months (in 2016), the moment that we're living in really underscores the importance of people who are really working in good faith to find the truth, working to help us understand political practices, help us understand each other better. So I think we just have to look around to see why this business is as relevant as it's even been." Josh Shannon is the editor of the Newark Post, where he determines what stories are covered, edits stories and proofs pages. He also writes and photographs for the paper. Before his promotion to editor in 2013, he was the digital editor of the Cecil Whig, which is owned by the same company as the Newark Post. Shannon started at the Cecil Whig as a staff reporter right after his graduation 2011 with a B.A. in Political Science and a minor in Journalism. Connections from UD and The Review have played a major role in his career, beginning as a student when Scott Goss, a 1997 alum, let Shannon freelance for the Newark Post. Since then, he has been hired by and worked for other UD alumni and hired some himself as both interns and reporters. Advice for students: "If you plan to pursue journalism as a career, work for The Review as much as you can. Internships are great, but The Review is where you learn the craft and, even more importantly, learn to love the profession." Matt O'Donnell is a morning news anchor for WPVI-TV, where he previously worked as a news reporter. Before working for WPVI, O'Donnell worked for WICZ-TV in Binghamton, N.Y., and WSTM-TV in Syracuse, N.Y., as a news reporter and substitute news/sports anchor. O'Donnell graduated in 1994 with a B.A. in English with a concentration in Journalism and a minor in Political Science. He says he tries to listen to people every day and read a lot of articles, books, magazines and blogs. "I try to learn about something new on a daily basis. I never stop asking questions. And when I don't know something, I make it a habit of admitting 'I don't know'" says O'Donnell. Advice for students: "Be prompt and be prepared and make this a staple of your reputation as soon as possible. You will be shocked to realize how much of an advantage this will be." Connect with O'Donnell: On Twitter, Facebook and Instagram. Sarah Gibson graduated from the University of Delaware in 2017 with a B.A. in English, with a concentration in Professional Writing, and a Journalism minor. During her time as an undergraduate, Gibson freelanced for the Newark Post and was a reporter and editor for The Review. "The journalism program gave me the tools and inspiration to pursue a career in journalism," Gibson said. "I started my undergraduate degree as an English major with no minors because I knew I wanted to be a writer in some capacity, but I didn't have any specific passions yet. "In my fall semester freshman ENGL 101 class, we had Mark Bowden, the university's Distinguished Writer in Residence and a professor in the journalism program, as a guest speaker. To prepare for his visit, we read his Vanity Fair article called 'The Case of the Vanishing Blonde.' I was fascinated by the story but even more enthralled by his writing style, and for the first time I actually saw myself in a writing career - specifically, a journalism career." Gibson went to work for The Review, and she then snagged a freelance opportunity with the Newark Post with the help of Professor Dawn Fallik. "The stories I got to cover were always unique and exciting," she said, "and I loved getting to experience more of Newark through my work and being able to hone my journalism skills even further outside of the classroom. That experience confirmed my belief that a career in journalism is the right path for me." Today, Gibson is a graduate student at American University pursuing a master's degree in investigative journalism. Why journalism: "I think we need journalism because the public has a right to know enough to make informed decisions, and journalists are the professionally curious writers who provide news without bias. Being a journalist is more than the ability to write well; it carries the additional responsibility of following the journalism rules of ethics and acting as a 'watchdog' and a public servant through careful research and reporting." Tristan Spinski is a freelance photographer working with regional and national publications. Among the publications in which his work has appeared are The New York Times, Mother Jones and Audubon. He graduated from the University of Delaware with a B.A. in English with a concentration in Journalism in 2001 and earned a master's in journalism from the University of California at Berkeley in 2005. Spinski worked for several years as a staff photographer at the Naples Daily News in Naples, Florida, before moving to Maine, where he now resides. Advice for students: "Forget about marketing and trying to figure out who to get your clips and resumé in front of, as all of that will reveal itself in time. Work hard, and then try harder as the recipe for success is a good work ethic that produces quality, substantive results." Tara Coates is a career journalist, having held positions at the Baltimore Sun, Daily Press, Home News Tribune and Washington Post. She was a senior sports producer at Baltimoresun.com for seven years, a senior programmer/community manager at RevolutionHealth.com for one year, and she held various editorial positions for AARP's website, including executive producer for money and career content, for eight years. Coates is now the senior editor of retirement and financial education for T. Rowe Price, where she serves as a ghostwriter for two certified financial planners and manages the social media strategy for both. "Whether I'm writing a blog, a whitepaper or working on an infographic," she says, "there is a strategic opportunity to make complicated financial topics easier to understand." Coates graduated from the University of Delaware in 1992 with a B.A. in English and Mass Communication with a concentration in Journalism and a minor in Spanish. Advice for students: "Anyone can be busy. Be productive. Get stuff done." Brian Resnick, a science reporter for Vox, strives to answer the question, "How can we use scientific findings to help think about the news?" He writes daily stories and features, and he collaborates on videos on topics ranging from psychology, space and the environment to health, medicine and physics. Before working at Vox, Resnick spent one year at The Atlantic, writing and editing for its website, and three years at the National Journal in various roles, including home page editor, online features reporter and staff correspondent. He also helped start a breaking news team and wrote two cover stories for the print magazine while at the National Journal. 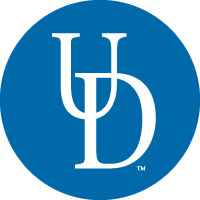 Resnick graduated from the University of Delaware in 2011 with a B.A. in Psychology and minors in Art and Journalism. Best career tip: "Don't be afraid to ask 'dumb' questions in an interview with a source. I used to be intimidated by expert sources, worried they'd look down on me if I didn't know some basic concept. Be open and honest about what you don't know. As a journalist, you spend a lot of time feeling 'dumb.' Don't fear it." ​Jenna Portnoy is a staff writer for The Washington Post, covering politics in Virginia, Maryland and D.C. with a focus on Congress. Portnoy graduated in 2001 and began working at The Express-Times in Easton, Pennslyvania, which she calls "a great place to learn and do everything," and the Philadelphia City Paper, an alternative weekly that folded in 2015. In 2006, she began working at sister newspapers The Intelligencer and Bucks County Courier Times, where she developed an interest in politics while covering county government. Her interest in political coverage led her to The Morning Call in Allentown, where she was a politics reporter, then in 2011 to The Star-Ledger in Newark, back in her home state of New Jersey. As a Statehouse reporter for the Star-Ledger, Portnoy exclusively covered Gov. Chris Christie as he traveled the nation preparing to run for president, before she began a job covering Virginia state politics out of Richmond for The Washington Post in 2014. In Portnoy’s words, "There may only be one or two bylines on a story, but every reporter relies on an army of news editors, copy editors, page designers, digital editors and social media experts to make our stories complete." Advice for students: "One of my favorite professors at Delaware said the fundamentals of covering the news could be taught in one class, but experience - getting out into the field and writing stories - is the only way to really learn the craft."